​Jeffrey Sullivan is a partner in the International Arbitration Group. He specialises in both commercial and investment treaty arbitration, as well as all aspects of public international law. Jeff’s practice has a particular focus on disputes arising in the energy, extractive industries and infrastructure sectors. His experience includes handling disputes arising out of long-term supply agreements, concession agreements, production sharing and operating agreements, joint venture agreements, EPC and other construction agreements. Jeff has also acted as counsel and lead advocate in numerous bilateral investment treaty and Energy Charter Treaty arbitrations. He has also appeared in numerous ICSID annulment proceedings. He has advised States in Europe, Central Asia and the Middle East on the negotiation and drafting of trade and investment treaties. Jeff also regularly advises clients on the structuring of foreign direct investments and issues of state succession. The author of numerous academic articles and chapters on international investment law and arbitration, Jeff is frequently invited to speak at international conferences and seminars. 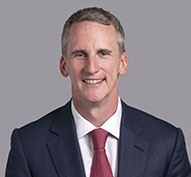 Among other positions, Jeff is, an advisory board member of the Institute for Transnational Arbitration, a member of the Energy Charter Treaty Secretariat’s Legal Advisory Task Force, and sits on the Executive Board of the European Federation for Investment Law and Arbitration and the Executive Committee of the Foundation for International Arbitration Advocacy. Jeff is a dual-qualified lawyer, admitted to practice in Washington DC and England & Wales. Article - September 13, 2018 | Essar v. Norscot: Are The Costs Associated With Third Party Funding Recoverable? Client Alert - March 7, 2018 | Intra-EU Investment Treaties: Is It Time to Restructure Your Investment?